I have not resolved all the problems of placing TIME, SPACE, and Humanity into perspective within Earth's Long History, but I think that I have developed a novel means to make several important points. I have tried to provide some clear links, or at least Upstream - Downstream Pathways between important Climate and Seismic Events, Regional to Planetary Consequences, Natural Cycles, and their Subsequent Impacts on Regional Ecosystems, including Humans. Maps, and other spatial data have always been highly valued, and form the basis of temporal comparisons. Milankovich thought that he had it resolved in the 1920-30s..
"Pacemaker of the ice ages"
If not Milankovitch forcing...then what? Solar influence on Climate is back as a legitimate topic, although many are unwilling to concede that it is the dominant issue. Sun Spots and other measures of solar activity are just becoming better understood, as part of our development of better observing systems. values referred to are from 180 to 220 years. addition, the longest of the remaining Elatina supercycles is 105 years. rotation rate or rather a mixup of these both factors. moment (2001) the 200-year cycle seems to have a value of 211.4 years. 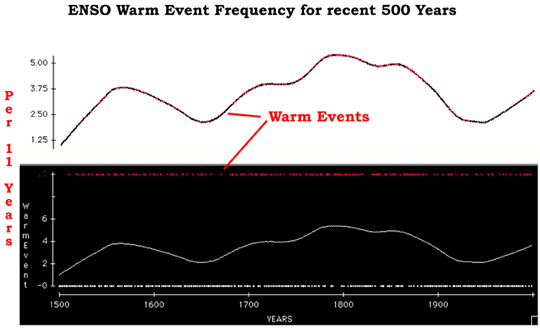 minimum in 1496+-1 and the Maunder minimum in 1695 is 198-200 years. is now going towards low intensity, and the warm spell ends in the 2010's. the Roman Army proper dwindled to nothing." (Tainter 1988, pp. 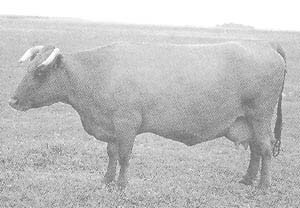 137-148). for the Barbarian invasions at that time? Did they escape the terrible cold? dwindle to nothing in just 20 years for this same reason? and demise of the Roman Army after the Vandals from 450 to 490 AD. The Roman Empire and the Mayans. best approximated by 100+120 years and the 180 years by 60+120 years. 800's belong to the dark ages. Again we have here 220 years. an earth-quake." (Whitlock 1976, p. 26). Studies on Ice Cores, in Oeschger, Messerli and Svilar, 1980). from the spotless year 1810, with which Tambora had nothing to do. degree would have been caused by man. So great are the natural variations. But man has always wanted to be in the center of the world. of a warm period (for example the medieval maximum)." Dr. Theodore Landscheidt, of the Schroeter Institute for Research in Cycles of Solar Activity, Nova Scotia, Canada, has used information about solar emissions and their relations to global climate events to develop a forecast for ENSO Warm Events. This approach, which is usually denied by government agency staff who are reluctant to use any references to solar activity for social reasons, provides a new avenue for reintroducing the role and influence of the sun in the earth's regional climate, ecology, and societal decision-making. A few more willing heroes in the field will discuss their insights at PACLIM 2002, at Asilomar in Pacific Grove, California, next March. To Enjoy - and Ponder - along the way. It is also difficult to create a Sharable Sense of Time, unless there is a direct connection to day to day life. As I worked my way through many volumes of records, and manuscripts in gathering the "factoids" that are arrayed in the various linked Chronologies, it was obvious that placing certain innovations into perspective would help others see the linkages between Climate, Tectonic and Seismic Events, Natural Ecosystem Responses, and Human Endeavor(s). Diagrams in popular magazines, Atlases, and even text books still portray earth's path around the sun as a simple ellipsoid - which is sheer nonsense ... better known as literary license... on even the most cursory examination. the clarity of that insight is truly PROGRESS. The encoding of human knowledge is the legacy of civilization. Alexander the Great's empirious gathering together of all the written knowledge from Mesopotamia and Persia, and his installation of that encoded material in one place at the Great Library of Alexandria was a monumental act of future-thinking. The patterns and processes that eventually emerged were critical to western science, and modern civilization. This one act of foresight - and autocracy - can be identified as one of the more important seed caches in human history. One has to wonder where civilization would be today if this one event had not taken place. as many living organisms do. Whose Cow is this ANYWAY?